Did you know you can now order your Deliveroo takeaway from Hana Japanese Restaurant here on View? Hana Japanese Restaurant is a hidden gem within the hustle and bustle of London’s streets. 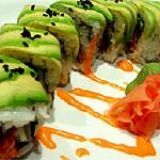 It serves an exotic Japanese cuisine that is not only pleasing to the eye but delicious too. For a relaxing, chilled out dining experience Hana Japanese Restaurant is a must. Do you work at Hana Japanese Restaurant? 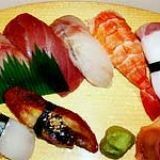 What did you think of Hana Japanese Restaurant? Eating here was a pleasure, the food was so amazing to look at i didnt want to eat but i quickly got over that and tucked in. The cuisine was full of all different flavoures and textures but i loved the names of some of the dishes the best, PRINCESS was delicious. I will be visinting again soon so this will be my first stop. This is a hidden gem on Seven Sisters road. 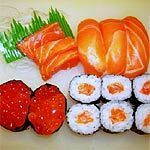 Great fresh sushi, beautifully presented. You can always get a table and the staff are friendly. Definitely worth a visit. So much better than chain sushi places. This is definetely the worst sushi I've ever had. It was probably left in the fridge for too long, which meant it lost of its flaovur. The service was pretty poor as well and they refused to acknowledge the poor quality of their sushi/sashimi. Since there are plenty of places to choose from in London and this is not a cheap restaurant, I'd say stay away!